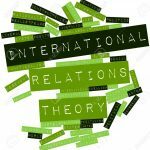 International Relations theories try to explain that how international theories are been. 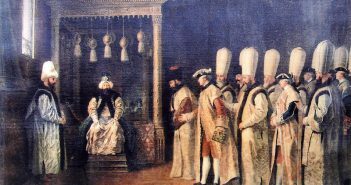 Some of theoreticans speculate about relations between sovereign states. The pursuit of them is to understand political interactions between states. Some theoreticans try to rich princibles that is explaining events in the past , and is predicting events in the future, but this efforts accompany a series of conceptional and methodological problems . However, in the developments process of international relations discipline , some discussions are been . The discussions are called big discussions . The general well accepted history and structure of international relations were determined by the discussions. They contunie in the present and new discussions come into exsistence. 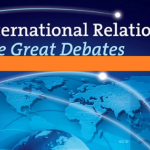 In international relations theory , first discussion is realism-idealism debate. A aspect should been paid attention . There is no group who are called idealist themselves . Idealist are named by realists . Idealism-Realism debate has started in 1919 . It has contunied until 1939. 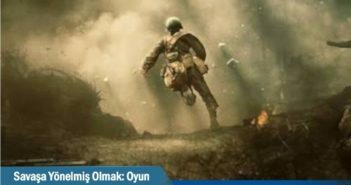 Idealism is understanding that is generating politics and precautions after 1 World War, because they do not want war disaster again. According to idealist ; human beings are good by nature ,so there are mutual aid and cooperation in nature of human beings . Bad exhibiting behavior is not related evil of human beings. Because of bad institutional and structural regulations , people are obliged to behave selfish . Idealist approach claims that like individuals , states can be rationalist and can rich peace easily . In this context, if individuals are perfect or if conditions are good , this statement can be provided . So, idealist understanding claims that the environmental conditions can change by creating league of nations and the united , nations at an international level. International Relations are not only determined by the power. International law , moral ethics and international organizations are effective , when international politics are determined. According to them ; the power politics and realist approaches cause war. In realist understanding ; power, national power and individuals are at the forefront . The state is basis actor. International politics and relations are qualified as a power struggle process between states. Internal dynamics are ruled out. According to realist paradigm; human factor influences international politic. Human beings are characterised bad, selfish, self-seeker, attacker. The power are not the forefront in relations. The states look like human beings by this features. The states are self-seeker in external affairs, and they want to increase self capasity, and they want to hegemonise other states, so the war and conflict are normalised. In realist understanding , stateman can not accord ethical standarts that he accorded standarts in individual relations. Kenneth Waltz: The fundamental assumption of realism bases on human nature , and grounds on system and structure as level of analysis. He tried to develop more scientific theory in thisway. Idealist approach claims that politics bases on ethical standarts , but realists submit , the ethical standarts of abstract qualified can not be implemented political actions. Realists critize scientific understanding of idealism . According to realists, the scientific understanding of idealism is not systematic, it is much value-laden, it is not important , ” what is ouhgt to be ” , they care ” what is ” . According to Carr, realism could gain qualification by analising ” assent of facts and their reason , result .” After 1929 Great Depression and 2 World War, idealist’s opinion was confuted , on a large scale. In discussion between realism and idealism, it is not possible to say ” winner realism .” Just after , liberalism critisized realism by neoliberalism way . Studies of academic international relations was in liberal in general. Some of realist thinkers adopt liberalism in domestic policy . In international relations discipline , second debate is behaviouralism-traditionalism. This discussion is named as a methodological discussion. The discussion was influenced from The Cold War. In social science basis problem, ” How can we analyse human behavior ? ” When this question is tried to solve, two opposite view shows up. Some theoreticans choose historical interpretation , someone chooses scientific approach. In international discipline, there is a debate because of preference problem . When contd of preference problem is analised or in other words, when behaviouralism is analised : Talking about theory and science is difficult , because historical and juridical approach is at the forefront in this sense. The theories are developed by behaviouralism that it is faraway from point of verifiability. 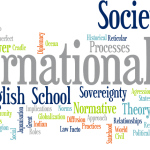 To analyse basis elements of science understanding of behaviouralism is possible under the title of international politic. Firstly , behaviouralism claim that the social sciences are the natural sciences by positivist perspective way . According to this understanding ; the social sciences can develop , but they should adopt style of natural sciences , so international politics is a social science and datas should be measured by quantitative way , limited quantity variable should be analised in scientific analysis , and more test of hypothesis should are analised . Second, it is decision-making approach. This approach has to take advantage of knowledges of sociology and physhology . Third one is comparing . Also in behaviouralism , reliable information is obtained by collecting observable datas. According to this approach; the state is basic actor in international anarchic structure. At the same time , the internal dynamics should not be ignored. It should be analised by broad perspective way. In traditional approach ; they think that the phylosophy, history and law are at the forefront . They sometimes analyse individual statement , but they have doubts about analysis of human affairs. Both of this theories ( traditionalism and behaviouralism ) adopt ” state centric ” hypothesis when they analyse international relations, but some behaviouralists claim that state centric paradigm should critise and should question . There is a difference in this discussion as different from other discussions . This discussion is methodological not ontological . This statement should be determined that traditionalists critise behaviouralists, but they could not develop alternative international relations understanding . In short , essence of this debate is that there is a opposite view in this sense . It is features of historical and scientific explaining. 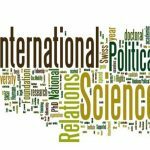 Historical/ scientific discussion is still at the center of international relations. All of opposite of positivism have to face this approach. Third debate is Positivism-Postpositivism. 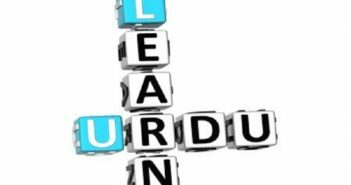 The criterion of post-positivist term is to focus on process of knowledge creation . It is to say that , they have started to critise basic data understanding of positivism. 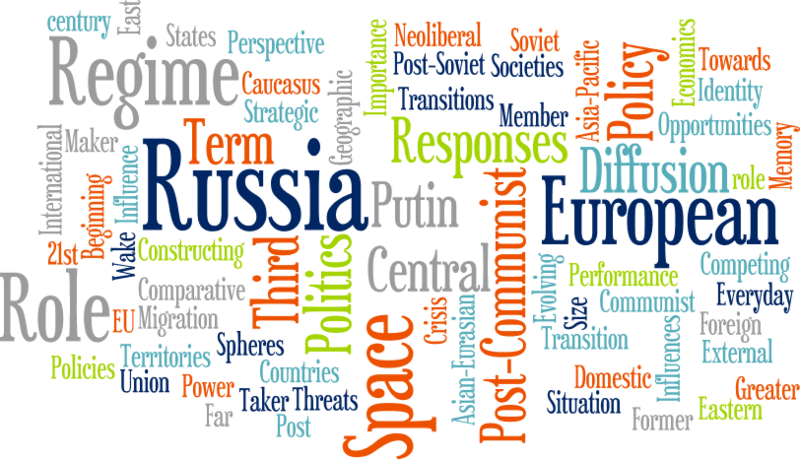 Post-positivist term can be analised under two title; first one is critical thinhing , Frankfurt school ( Habermass , Ashley ) and Antonio Gramschi approach ( Robert Cox ) . Second one is post-modern approaches. In post-positivist term, borders have been deleted between concepts. There was a domestic policy and foreign policy in positivist term. Borders between disciplines was certain in social science . It was not in post-positivist term. Starting point of positivism- postpositivism debate was Keohane’s difference between rationalist and idealist. Keohane qualified neoliberalism and nerealism as rational and he claims that idealism is opposite neorealism and neoliberalism. He takes this thought (rationalist approach ) from rational choice theory in economic. According to rational choice theory; human beings want to maximize self benefit. He determined that this hypothesis procures generalisations and foresights about behavior of states from point of information production. In summary , rationalists attachimportance to science, material element, causation, but idealist , structural or post-structural approaches attach importance to theories and expressions. Post-positivist approaches relativise to information, and they disconnect relation between information and object, or they refuse objects. The most interesting question about difference of positivism-postpositivism is that all of causal explainings are reduced to positivism. On the other hand, not to be positivist means not to be scientific. 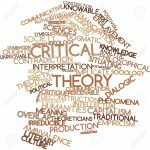 All of theories are named critical theories in postpositivist term. There some differences between this theories, but they are each other against positivism. The most one important critical theory is Frankfurt School that they have critisized scientific approach ideally. As a result, this debate is not about physophic alternative. Positivism tried to be one delegate of science. It is about this statement. Last debate is about neorealism- neoliberalism. Kenneth Waltz is founder of neorealism. Neorealism accepts some parts of classical and neoclassical. As an example, the sovereign states are at international anarchy , but difference point is about human nature , moral dimension of state government. They refuse this statement, they analyse human nature and moral dimension os state government by much scientific understanding way. They try to explain that the reason of destroyer and self-seeker manners can not be explained by domestic policy way, because there are relative benefit and power in state relations. According to neorealists; it is not important ” What is ought to be .” It is important ”What is .” If the theoreticans care what is ought to be , they can not see truth, so firstly neorealists try to identify the system. They claim that there is anarchical order not chaotic order. There is no power over the states in this system. Balance of power creates the order. Sometimes , powerful state should be weakened other weak states are manned, or the bandwagon should be created. When offensive and defansive realism is analised, a powerful state wants to maximize own power until the most powerful state in offensive realism. In defansive realism, states should have military force to guard themselves. Neoliveral approach wants to update by accepting basis actor states; like neorealism, but neoliberalists emphasize importance of international organizations and other factors. O. Keohane and Joseph S. Nye are pioneer of neoliberal theory. Neoliberal understanding analises states as uniter , rational , egoist actors. States are liken billiard-balls that they want to maximize own interests. According to neoliberals; international society is formal or informal body of rules that it is regular and with one another related. International regime is international institutions that they are created by written agreement way. (Kyoto Protocal , NAFTA ) Accordingly, international cooperation is easy and possible, but realists think that this statement is difficult . Liberals think that the problems are solved by international organizations. 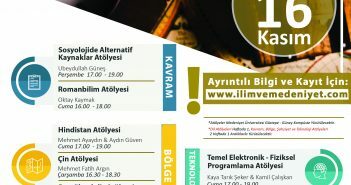 Cost of operation decreases in this means. International organizations influence cost-interest account of states by increasing cost of deception or incresing benefit of cooperation. Both of them accept that international system is anarchic. Neorealists; the anarchi is much subordinative conjuction in foreign policy. Neoliberals think that neorealists belittle importance of international organizations, international dependency globalization, but neorealist understanding claims that international cooperation cames true by using force , and the job is difficult. On the contrary, neoliberals say that the cooperation easy. When neoliberals claim that cooperation is gainful, profitable for all states, but neorealists think that the purpose is much win other than. In conclusion, the internatonal organizations are important for liberals, but neorealists claim the organizations can not reduce international anarchi. Talking about hundred percent theories true is not possible, but itis to say that theories help us to understand international system all the better, and it help us to develop our mind.